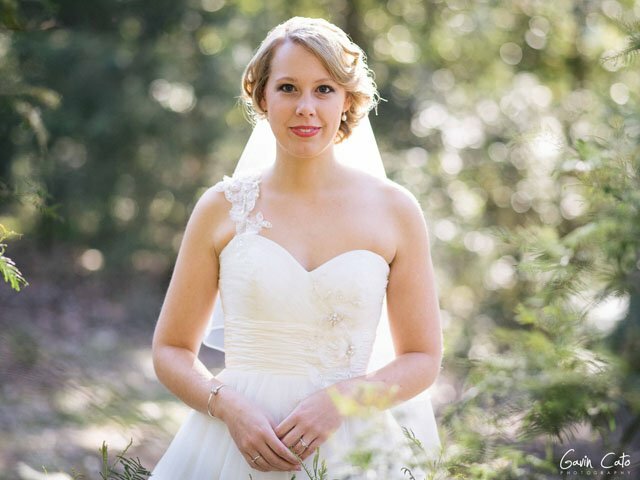 I�m an experienced wedding photographer who has wanted digital medium format for a long time. I use a pair of 1D Xs with the typical lenses that you would expect a wedding shooter to use. I never was intending on replacing my Canon gear, but rather supplementing it. My idea was use the medium format for location shooting, and use my Canon�s for everything else. 1) A friend introduced me to the work of a spectacular wedding photographer called Jose Villa who has a absolutely beautiful style of photography from using a combination of a Contax 645 medium format film body and the Zeiss 80mm f/2. The first time I saw his photos I was transfixed. I already had many fast aperture lenses for my Canon rig, yet there was just a beautiful magical look about his shots that had me hooked. If you want to be really inspired, check out his website, the guy is an absolute genius. 2) Pentax released the 645Z in the middle of 2014. I certainly wasn�t anywhere ready to jump ship over to it. I read reports that this was a very good piece of gear and for a medium format body was amazingly fast, but I�m the sort of guy to slowly analyze and research something before trying it out. I did a lot of research into the Contax 645 and 80mm f/2 combo and eventually concluded that film probably wasn�t for me. I do shoot quite a lot of shots at each wedding, and being a ex-computer engineer, digital just fits well with me. Also, I have a very efficient workflow based on digital from many years of shooting weddings with Canon digital SLRs. So I wanted to try and replicate the look of the 645/80mm combination as close as I could, but in digital, and in a way that would be realistic to use at weddings. I didn�t want to get some expensive gear and then have it gathering dust in my bag only pulled out for the odd hero shot. Money aside, I felt that the speed and the poor performance above base ISOs would make it a deal-breaker for me. Back to the Pentax 645Z. This looked like it fit all the criteria except for 2 problems: 1) it has a 1.3x crop factor (as most digital backs for the Contax also do), and 2) at the time I could not see a direct equivalent to the outstanding 80mm f/2 lens mentioned above. I was doubtful that the overall look would be significantly more attractive for �people shooting� than my existing Canon gear with it�s fast aperture lenses. So I deliberated over it for months, looking at sample pictures from the 645Z but never quite finding someone who shot in a similar style to me. One day I decided to just give it a try and dropped the local camera dealer a email to ask if they had any 645Zs in stock. The answer came back within a hour or two. Yes, a 645Z and 55mm/2.8 lens were waiting for me should I be interested. I was still pretty doubtful at this point and I was by no means convinced that I was going to pull the trigger on it. I decided that I would try the camera in the store, and if I bought it I�d sell it fairly quickly if I didn�t feel it suited me. The 645Z comes in at roughly $10,400 with the 55mm/2.8 lens. Whilst compared to the typical cameras used for weddings, this is horrifically expensive, but in the medium format world it is amazingly well priced. It is incredibly cheap compared to the Hasselblads and Phase ones out there � even the ones that use the exact same sensors made by Sony. As I stood in the shop while he unboxed the 645Z in front of me to try out, thoughts were still racing through my head. Should I do this? Will the difference be worth it? Is it really worth the hassle of running two camera systems? I picked up the camera, expecting it to feel enormous. It certainly did feel big, but not as big as I was expecting. Being used to using a 1D X is probably a big reason for this. I imagine people using smaller cameras would probably find the 645Z extremely big. I mounted the somewhat flimsy feeling 55mm/2.8 onto the Pentax and turned it on. It only took a few seconds to get it roughly where I wanted it settings wise for some simple test shots. I pointed it at my wife, set it to f/2.8, and took a single shot. As soon as I looked at the back screen of the camera I knew I was hooked. The simple photo there showed the most beautiful depth of field characteristics. The transition from in to out of focus was beautifully smooth, and the general out of focus regions were just a beautiful dreamy look with beautifully rendered highlights. And from a simple 55mm f/2.8 lens! That was it. Out came the credit card. I was in a 2 week gap of weddings and took full advantage of it, taking the camera out nearly every day and practicing with it. The kids got a few extra outings as I chased both them and the animals at the local zoo getting familiar with the camera. The camera is very easy to use and doesn�t really have much of a learning curve, however as with any camera you need to find your way around the camera and learn how to make it work efficiently for you. Though I�m not a landscape guy by any stretch, any excuse to use the camera was taken. Please note those above photos were cropped a little to give it a more panoramic look I often prefer. Here�s an uncropped photo. By the time the first wedding came around, I was pretty comfortable using it. Not to the same extent as my Canon gear, but still ready to use in a paid shoot. I only used it sparingly, using my Canon�s for the majority of the time. If you are well versed in handling a digital SLR, you�ll be fine with a 645Z. It really feels like a slightly oversized DSLR with a big sensor inside it. Physically, it feels nice to hold. There�s no getting away from the fact that this is a serious chunk of gear, but it�s not uncomfortable and it feels nice to hold and operate for the most part. It has a nice deep grip and feels very sturdy when holding it. In the world of medium format, comparing it to cameras like the Phase ones, it is an absolute speed demon. Comparing it to a Canon or Nikon DSLR the opposite is true. You can�t just blaze away with this camera and expect it to keep up with you. It�s fine for short bursts up to 3fps but you need to regulate your usage of the camera, as when that buffer gets hit the camera effectively stops working until the buffer is clear. On the Canon 1D X, I often use auto ISO. Whilst it�s certainly not for everyone, I find it works well for me. With auto-ISO on the Canon, I set my minimum shutter speed to what I want (typically 1/250) and sit in Aperture priority mode using exposure compensation as needed. The 645Z does have auto ISO but in a fairly limited fashion. You can�t run it in Av mode like I described above as there is no way to set the minimum shutter speed (that I am aware of), but rather there is a TAv mode where you set the shutter and aperture and then auto ISO will move the ISO to match. This to me is far from ideal as the lighting situation may change so much that the camera can�t keep a good exposure just by changing the ISO, so I�ve ruled this mode out. I�ve ended up mostly shooting the 645Z in full manual mode. Typically at a wedding I have both a 1D X and a 645Z on me. The Canon is setup in auto ISO as described above and is ready to go at any time. The 645Z I use more for shots where I can take my time and control the light, and left in M.
There is an incredibly convenient green button on the back of the camera that (when in M mode) will quickly set the correct exposure as the cameras meters it � it�s a quick way to get going quickly before you are 100% sure what the settings are for a decent exposure. The buttons on the camera are pretty predictably placed. I don�t find it as quick and easy to jump round as a Canon, but it�s far from bad and with a bit of experience you get used to where everything is and don�t really think about it. The one exception is the placement of the autofocus buttons. You press 1 button to engage a AF point selection mode then you use the 4 buttons surrounding the center �OK� button to move the AF point around. The problem is, at least with my fingers it�s very easy to bump the OK button which kicks you straight out of AF point selection and you have to start again. Super frustrating. Battery life? No complaints. I�ve used a 645Z solidly at a wedding and only changed the battery after roughly 8 hours of shooting. Somewhat similar to above, it�s excellent for a medium format but average compared to a modern Canon or Nikon. Its saving grace is that it is at least very accurate � it�s pretty rare that I�ve had a photo blatantly out of focus due to the camera missing it completely, but again you can�t just blaze away with this camera. Unfortunately the 27 AF points are gathered somewhat to the center of the viewfinder, I do wish they were more spread out, even if there was less of them. I actually find manual focus very useful on this camera as the viewfinder is nice and bright. Manual focus is fairly easy. Not for everyone but when I�ve used it I�ve had good results. AF performance varies lens to lens. For example the 55mm lens is prone to hunting, whereas the 150mm lens I later bought is relatively snappy. The rear LCD screen is beautifully sharp and detailed. It�s easy to see if your photo is in focus even without zooming in. Live view is excellent and has a real time histogram to help with exposure. Obviously more useful to the landscape guys, but very nice when used. When in live view mode you can zoom in 16x to check focus. The LCD screen can be flipped out so you can look down at the camera, however this is not useful for me as a wedding guy. This is new to me: the camera has 2 tripod mounts, one on the bottom and one on the left hand side of the camera. I find this useful in a way that I doubt the 645Z makers imagined: at weddings I use a Spyder holster system that essentially involves you attaching a metal plate to the camera tripod mount, which then has a clip that you can attach the camera to your belt in a fraction of a second. I also use a quick release plate for my tripod, and when you mount the 2 together it can be a bit uncomfortable to hold. However on the 645Z I can put the Spyder plate on the left mount and my tripod plate on the underneath of the camera without losing any comfort holding the camera. The bad news is the lens selection for the 645Z is pretty limited compared to the Canon. On Canon, there is a dizzying number of lenses with some available in some extremely fast f/1.2 apertures. This just does not exist in medium format world. Most medium format lenses are f/2.8 and slower, and because of the larger sensor that�s not necessarily a bad thing DoF wise (as I thought before owning the gear) but it does mean you need to watch your shutter speeds a bit more carefully than when using faster glass on a Canon setup. From left to right, the 150mm, the 35mm mounted on camera, then the 55mm and finally the 120mm Macro. The 35mm and 120mm were bought 2nd hand from eBay hence they are not the current autofocus versions. I preferred this, as I always manually focus macro shots and most wide angle shots. They are all outstanding pieces of glass. The 35mm, 55mm, and 120mm have levels of sharpness and detail that are mind boggling. You can also use (via an adapter) Pentax 67 lenses and Hasselblad V series lenses. Everything you have read in other reviews is true. The image quality is just jaw dropping. The files are big, colorful and full of detail. The dynamic range is through the roof and the files are a pleasure to edit � they can be pushed to the most ridiculous extremes. The depth of field is beautiful. On smaller sensor systems the DoF drops off near instantly when using fast aperture tele lenses. On medium format you just get this beautiful roll off to the out of focus regions. I just can�t get enough of this look. I don�t say this to disparage 35mm based systems � Canon and Nikon both make some absolutely beautiful glass. But the way the medium format looks is just more what I am after when shooting people. Personally, I enjoy the wider aspect of the verticals with the different aspect ratio to the Canon. Although I try to keep ISO as low as I realistically can, the low light abilities on this camera are superb. I would say they are roughly 1 to 1.5 stops better than my Canon 1D X in high ISO noise. To push things a bit more, here�s a very high ISO shot. One welcome aspect to having such large files, is that you can crop the files really to almost however you want and you will still have a sizeable amount of resolution left. This can be a huge benefit in some circumstances. I�ve always liked cropping photos in a more panoramic aspect ratio but rarely do it on my 1Dx as the end file size will typically be a bit smaller than I would like. No such problems on the 645Z. I shoot raw in .DNG format and each file is typically 60MB. I use 2 x 256GB 95MB/s cards and shoot raw to the first card and JPEGs to the 2nd card as a backup. With 256GB cards, I don�t need to think about changing cards at a wedding or shoot. Storage wise, this isn�t a problem for me. Disk space is cheap. But the processing side can be a bit of a pain. On my computer editing the files are fine once they are loaded, but the initial rendering of previews and also the export out to jpeg at the end of an edit takes an absolute eternity. A faster computer is definitely in the future. Of course I�m never going to 100% replicate the beautiful look that the Contax setup gives, but I still wanted to get as close as I could. The Pentax 90mm was a tempting option. It�s a brand new modern lens, with autofocus, image stabilization, and of course being a new lens the 645Z would be able to talk perfectly to it. The Hasselblad and Pentax 67 lenses are manual focus and require an adapter to mount to the 645Z. The Pentax 105mm didn�t really grab my attention too much from sample photos I found on Flickr. It�s not a bad lens by any stretch, but it just didn�t really click with me. The Hasselblad 110mm on the other hand� the sample shots I found of this lens online were exactly what I had been looking for! I went onto eBay, found a mint condition one, and ordered it along with an adapter. I was intending to then take it to the camera store and do some quick comparisons with the Pentax 90mm but honestly I�ve fallen in love so much with this lens that I don�t need to. I�m still very curious to try the 90mm, but the Hasselblad lens is working so beautifully for me that it�s nowhere near the top of my to-do list. I believe that with the 645Z and the 110mm f/2, I have gotten as close as I can realistically get to the Contax 80mm look that I can get on digital. The 110mm is a bit of a pain to use on the 645Z but well worth it. I�ve never had the look from a lens resonate with me as much as this 110mm does. It�s truly a magic piece of glass and I�m looking forward to using it at upcoming weddings. � It�s easy to use. There�s nothing complex about it. Pick it up and start using it. It handles just like a typical digital SLR, just with incredible image quality. � The image quality. I can�t get enough of it. As I�m at a wedding using it, I see the photos coming up on the rear LCD and they just look so good it gives you confidence knowing you are getting fantastic results for your clients. I�m finding myself making trips out during the week taking photographs just for the sake of it because I enjoy using this camera so much. � What lenses there are available are outstanding quality. � As mentioned earlier, though it�s fast for a medium format it�s very slow coming from being used to fast SLR�s. It will never replace my Canon�s for that reason and thats fine � use the right tool for the job. � The buffer is too small and when you hit it you might as well forget about using the camera for a bit. � Selecting AF points is a bit awkward and they are grouped too close to the center. � If you pull the memory card out of the computer before cleanly ejecting it, the 645Z complains that the card is not formatted. � If you are used to shooting with f/1.2 to f/2 glass moving over to a system that has mostly f/2.8 to f/4 glass might catch you out a bit shutter speed wise until you get used to it. � Make the buffer on the camera enormous. I don�t really care how long the files take to eventually write out as long as it�s unlikely that I hit the end of the buffer. The overall speed of the camera I can deal with. The buffer I can�t and have to actively manage my shoot to avoid it. � Make the autofocus a bit easier to change the active AF point. I would suggest setting the �OK� button as center AF point. � The day that Sony makes a full frame 645 chip, get it in there! I�ll buy it the day you release it. � Please continue to update your lens lineups. Some modern fast f/2 telephoto primes would be nice! Not bad for a near 25 year old lens. Going to landscape style photography, the sharpness stopped down, with careful focus on live view is incredible. It ended up being part of a 2 shot stich and ended up looking like this. I�ve had the house shot printed out fairly big and the sharpness and detail of the print is just on a whole new level to anything I�ve had before. This is a brilliant piece of gear and I feel it will serve me very well. It will never replace my Canon SLRs, but the image quality, and that beautiful medium format look is something that has inspired me as a photographer, and I�m looking forward to my future shoots and weddings like I never have before. The general look of the camera/lens combination suits my shooting style very well. I�ve only done a handful of �real� shoots with it so far. I�m coming into my busy wedding season now and have weddings pretty much every weekend until Christmas coming up. I�m hoping that even though my couples won�t necessarily know what medium format means, that they�ll appreciate the overall quality of the images and the effort I�m putting in with it. I hope this article helps someone out there who was in the same position as I was before buying the camera. When googling for reviews of the camera, I wasn�t able to find a huge amount of samples that were relevant to the way I would use the camera � namely, wide open tele shooting of people. At some point I had to essentially take a leap and try it out (with the intention of selling it if it didn�t click with me). Thankfully it worked out well and I�m very glad to have added medium format to my setup. About the author: Gavin Cato is a wedding photographer working in Wollongong and Sydney, Australia. You can find more of his work on his website. This article was also published here.